Limoges is a city in the West-central France. 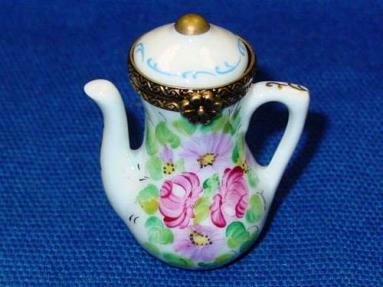 The famous Limoges porcelain boxes are made in the factories situated in and around this city. Porcelain was not known to the West till Marco Polo visited China. It made history when a type of white clay was discovered in the town of Yrieixin near Limoges in the latter half of the 18th century. This clay proved to be the Kaolin clay used in porcelain making. Excavation around the area yielded rich deposits of kaolin and feldspar which are used in the making of porcelain. This was the beginning of an industry that strode the world markets with the production of lovely Limoges porcelain boxes. 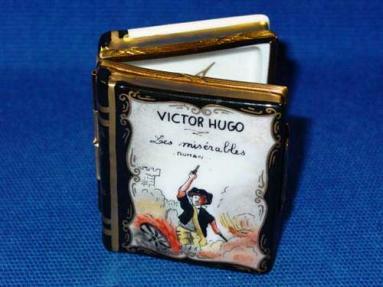 Limoges boxes are handmade and hand painted porcelain boxes that can hold small trinkets and keep sakes. They are individually made and therefore unique. Small snuff boxes that could be carried in a gentleman’s coat pocket were the forerunners of these trinket boxes. Later lovely porcelain figurines began to adorn these boxes. 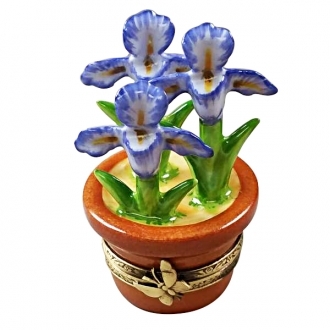 Some of these trinket boxes are even shaped like animals, birds, vegetables and other objects. The Limoges boxes are exceptional gift items. 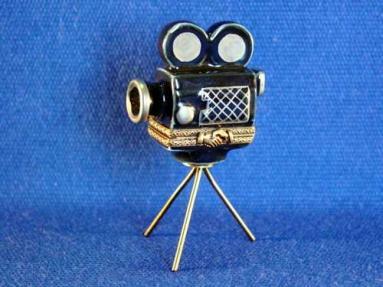 The figurine boxes can be used to suit specific personal interests and preferences. For example, an animal lover will appreciate a Limoges box shaped like his pet animal. 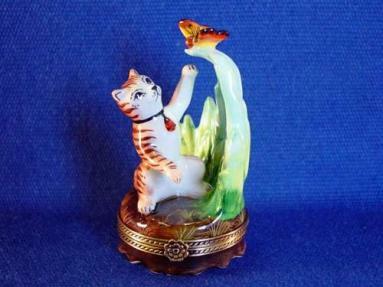 The dog and cat figurine Limoges boxes are very charming. Any animal lover will be pleased to have one of these on his table. People who are workaholics and married to their professions will be happy to have replicas of their favorite tools or something connected to his or her profession on his or her work table. 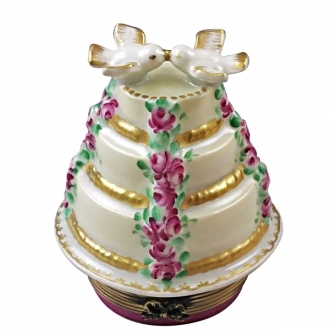 Children will be happy to have handy trinket boxes carrying angels, animals and butterflies. They will treasure them. So gifting them with one of these figurines is a magnificent gesture. 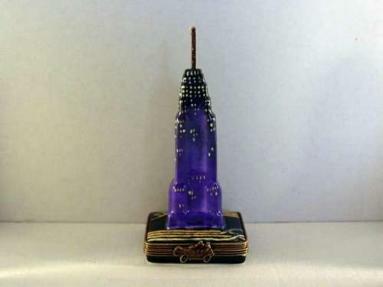 People who love reading and books are always happy to have small boxes in which they can keep utility articles like pins and clips on their tables. When it takes the shape of a set of tomes bound by a decorative ribbon, it is all the better. If the box is a miniature of one of the classics, it becomes an apt décor item on the table. Kitchen can use small box es for many purposes. They can hold small useful items. They can also sit on the kitchen cabinet as a great décor article. They can be shaped like kitchen tools, vegetables, fruits or even cooked dishes. 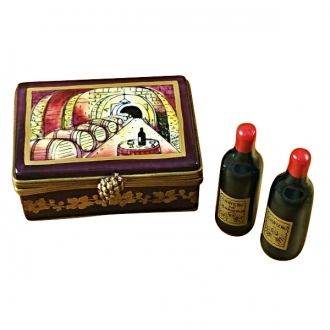 The Limoges boxes that represent wine bottles are suitable presents for a friend who is a party animal. Sports buffs will be fond of sports items like racquets, balls or even sports shoes. So you can choose a Limoges box that has a sports figurine on it. 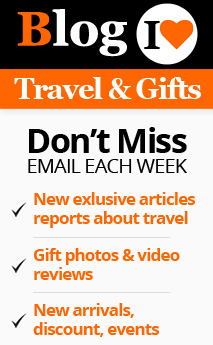 If one is interested in travelling, monuments from around the world will interest him or her. 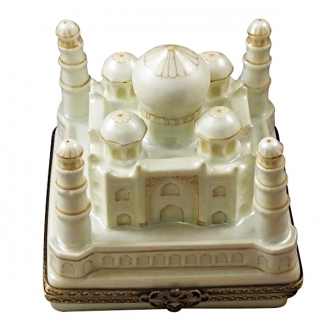 Gifting such a person with a Limoges box which is a miniature of one of the monuments is a good idea. 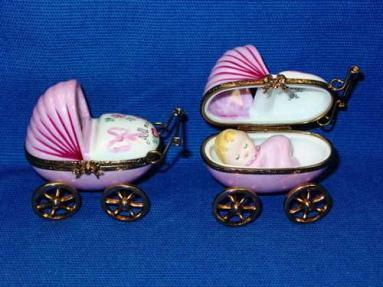 All the various kinds of figurine Limoges boxes can be used as gifts for all occasions and persons of all ages and gender. H: 4.25" W: 1.25" L: 1.75"